The struggle for renewable energy is real and many new technologies are being developed to achieve the goal of becoming independent of fossil fuels. Solar power, by far, is one approach that has been gaining quite a traction when it comes to energy production. The only caveat with this approach is the area of real estate that is required for solar panels to become efficient. This discourages countries and they end up selecting other space-efficient power sources. Japan, the land of the rising sun, has limited land to begin with and thus, when we hear that Japan is building the world’s largest solar power plant; we are intrigued. So, what’s really going on? 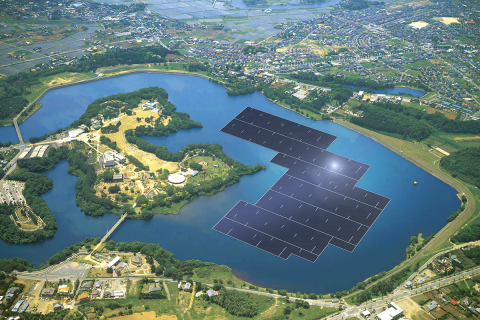 Welcome to Kyocera, Japanese Power Company, that is making use of abundantly available water bodies by building a floating solar power plant. There are already three water based solar farms, that are functional and generating an average of 1.8MW. 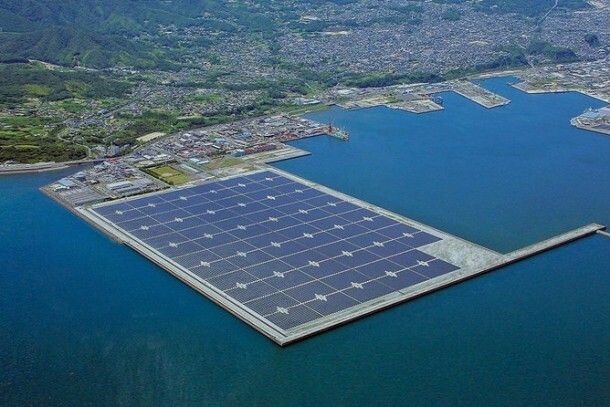 The ambitious project that builds up on this approach and has already begun construction on the Yamakura Dam shall be able to generate 13.7 MW and is bound to be largest floating solar panel. The solar power plant shall be covering a total area of 44 acres and will be producing electricity for 5,000 homes equivalent to 16,000 MW-hours per year. 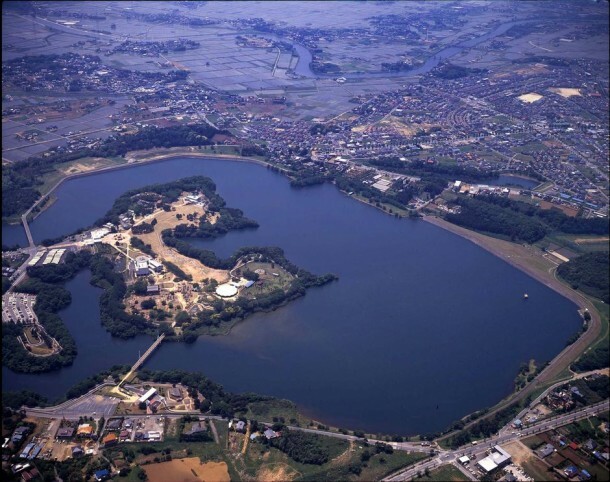 The plant is situated about 32km east of Tokyo on top of a drinking water reservoir. This project while generating electricity, also tackles two other issues that are faced by reservoir authorities; algae growth and evaporation. 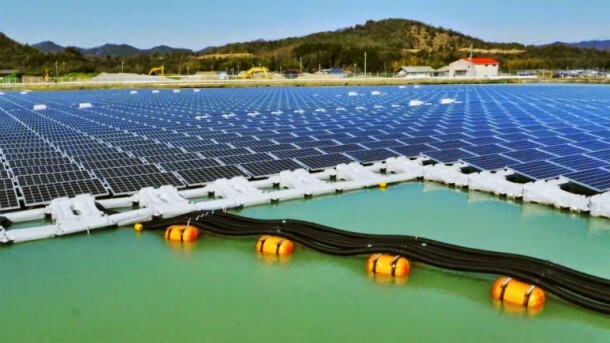 The floating solar panels atop reservoirs provide shade to water thus inhibiting algae growth and evaporation. What benefits does the solar panel derive? The panels are cooled via the natural temperature difference of the water, thus imparting 11% of increased efficiency. The project is slated to be completed by 2018. The water based solar power plants are built to last. It has been claimed that the water based solar arrays are capable of surviving winds of up to 120mph and earthquakes of high magnitudes. The only reason why not many countries are jumping on the bandwagon is the fact that these plants take up too much of space and aren’t generating that much of energy. For instance, if you covered 44 acres with coal power plants, the energy generated would be ten times higher than what is expected of this new floating solar power plant. However, considering the need to become environment-friendly this approach does pave way towards a better and improved future. Japan has aims of switching to 100% renewable energy by 2040. More efficient forms of renewable energy production are expected to be discovered and refined, however until that happens, floating solar panels can be used for tapping into the renewable energy.